There was drama yesterday at the PF Chilanga District Fundraising Dinner at ndozo lodge when Drunk Mumbi Phiri failed to call upon Edgar Lungu to address the gathering. Mumbi Phiri who was seen drinking Jameson through out the dinner party was called upon by the Lusaka Province PF chairman to officiallly call upon the Lungu. “You see That function was a party function and Hon Mumbi Phiri was the senior most party official at the function, she was asked to call upon the President but she failed to do so, she got to the stage and began to say her own things which didn’t make sense, this sent State house aides and OP into panic, Mumbi Phiri Said, Allow me to officially welcome the President to address you, when the President stood up, Mumbi Phiri said “Hello Lungu seat down I have not said come here now, I will tell you when to come”. Mumbi Phiri then began to talk about her new position as nominated MP. 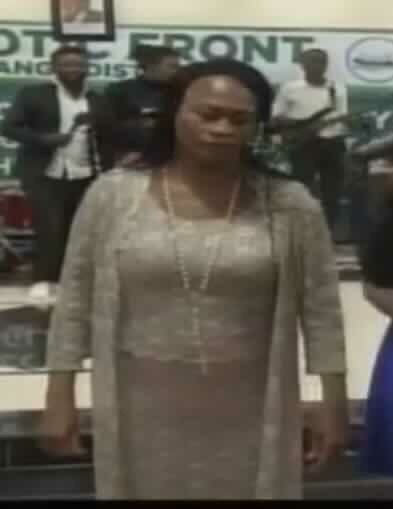 ” you see President Lungu loves women very much that’s why you see he has now nominated me as MP, he loves women very much, Mr President Before u come here allow me to call Kings Malembe to sing a song one more time because he sings very well and I want to dance iwe kings isa Kuno fast, Malembe then stepped on stage and began to sing, later on Mumbi Phiri grabbed the mic away from him again and said iwe kings let me call Lungu to come and speak first also, this behavior sent a lot of panic to the Presidency and OP officers Present. And when Lungu finally stepped on stage to address the gathering power failed sending the whole banquet hall into darkness another risk to Lungu. When power was restored Lungu was surrounded by Op and police men to protect him. Later as Lungu began to talk, power was cut gain. When power was restored the second time, Mumbi Phiri was again found on stage, this time very near Lungu at his right hand side, making many wonder how she got there when the power failed. This again sent OP into panic, Mumbi Phiri then stepped off the stage, Presidential security was seen taking her out of the banquet hall.